As some may know, I’m currently engaged in a collaborative project with the writer, Robert Macfarlane, and also in periphery with the artist Stanley Donwood. 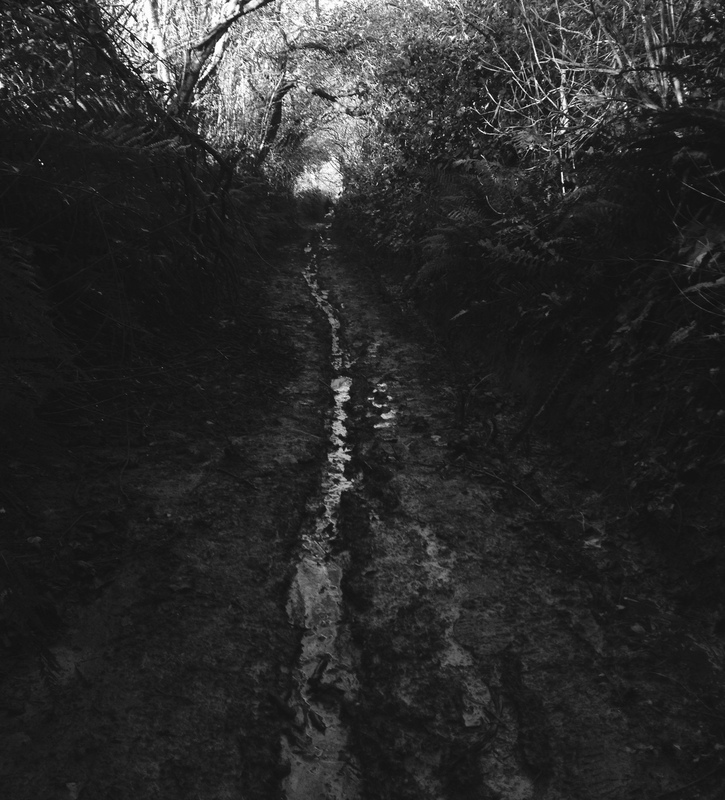 Our aim is to produce a short visual summation of the fragmented novella booklet that Robert and Stanley released, together with writer Dan Richards, all about the Holloways of Dorset. These Holloways are sunken paths; pathways that have grown into almost natural tunnels of vegetation giving them a strange, ethereal quality. They are also steeped in bloody history and have a great sense of presence as I found out when filming there recently. 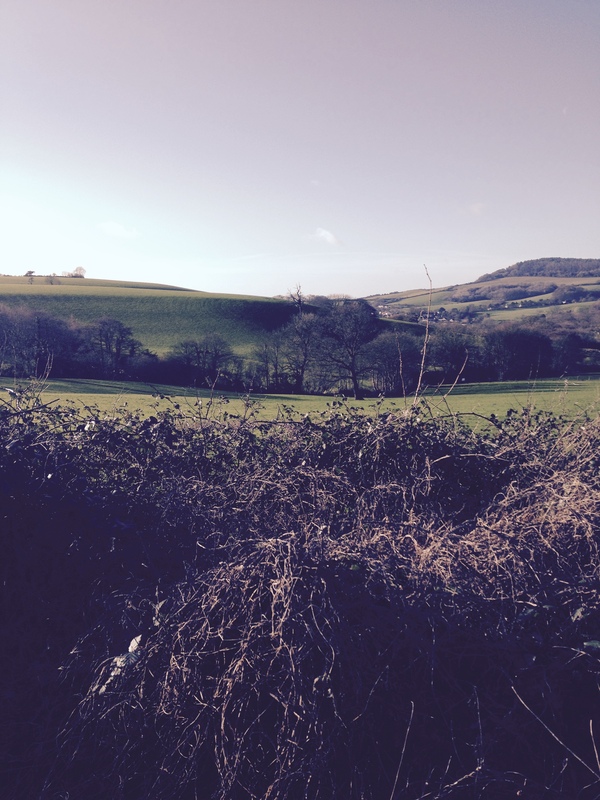 Dorset itself is an interesting place in the winter. Whilst Robert, Stanley and Dan had visited during the warmer months, my own visit to film was the polar opposite in just about every conceivable sense. As a place built largely on summer season tourism, the Jurassic coast in particular is desolate in the brisk January days; upon my trip out to film with my trusty super 8 camera, I came across not a single soul treading upon the pathways. Whilst Holloway is not to be a film about ghosts or the more horrific elements to be found within our landscape, it could easily have descended into such areas. 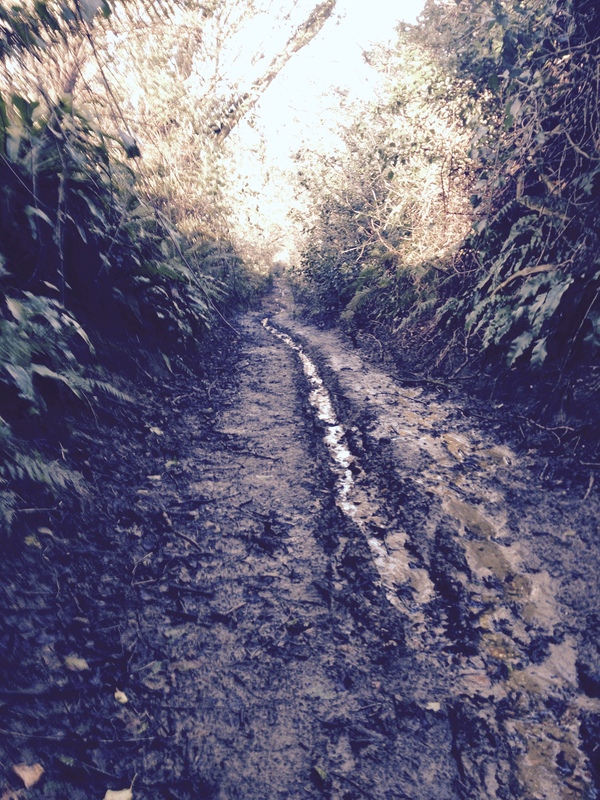 Holloway as a project is built around several paths on the Jurassic coast, two of which are the subject of the film. The history of these places seeps through from the soil and both locations have a strange sense of being, as if they have always been here in spite of their very geographical formation being one explicitly derived from the presence and footfall of people. I feel apprehensive about giving away their specific location but, suffice to say, the names of the “lanes” that lead to these hidden pathways already hint towards something far more otherworldly than is perhaps comfortable when exploring them on one’s own. As the weather had increasingly deteriorated, and with the imminent threat of potential snowfall, both the Holloways in question were radically different to the amalgamations that the writers will have encountered. The first had now, at least in its lower hill parts, turned into a gushing flow of water thanks to the breached banks of a near-by river. This seemed apt for, in Robert’s especially written voice-over, the Holloways “Like trees, old ways have branches, and like rivers, they have tributaries.” In this case the Holloways had literally shown this with the pathways being marked by either flowing water or even moving muddy terrain which was difficult under foot. This pathway yielded the best results and seemed the most like Stanley’s Holloway-themed artwork, both for the booklet and for his own sketches which I’ve been sent. The pathway had a definite feeling of entrapment but still had the natural destination of its function as a path. 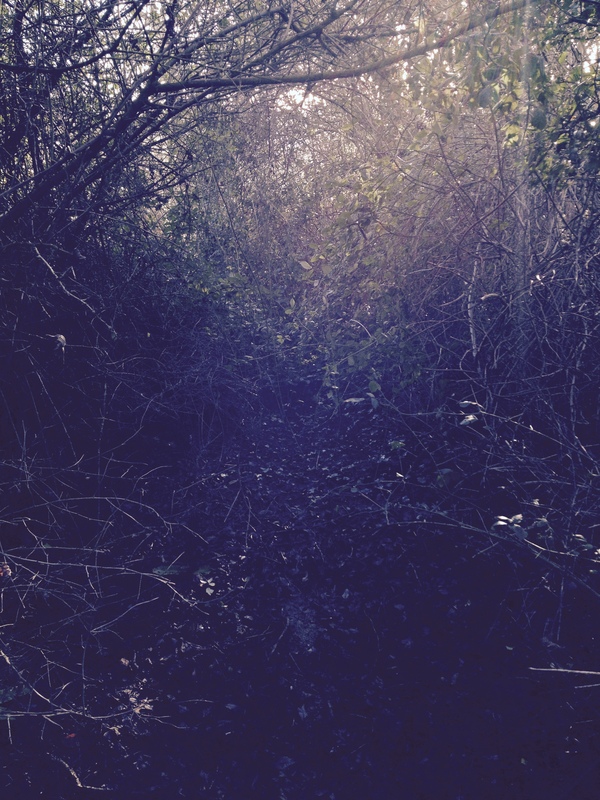 After a steep climb, this Holloway emerged onto a beautiful landscape; sundrenched and open in the most cathartic sense. This whole journey up the Holloway made up the bulk of the filming. 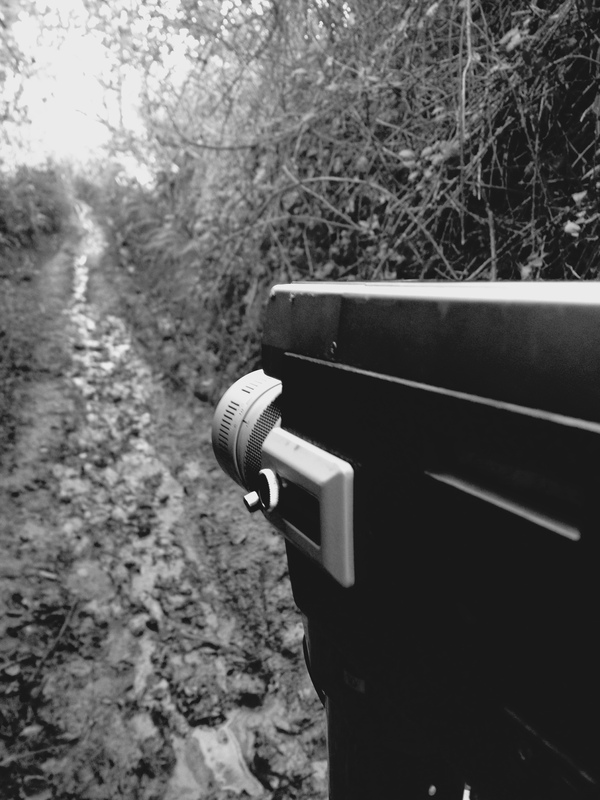 The second Holloway proved far more problematic, in terms of filming and even simply traversing. Upon getting to the location, it became clear that the winter months had dramatically changed the very nature of the Holloway; it was no longer a path but a defended territory. After fighting through bramble for a good twenty minutes, I came across what could be described as a Holloway cul-de-sac. It failed to resemble the typical Holloway but in another sense proved to be an extreme version of it; if the catholic priests from older times needed refuge, this Holloway in particular would have proved invaluable to them. 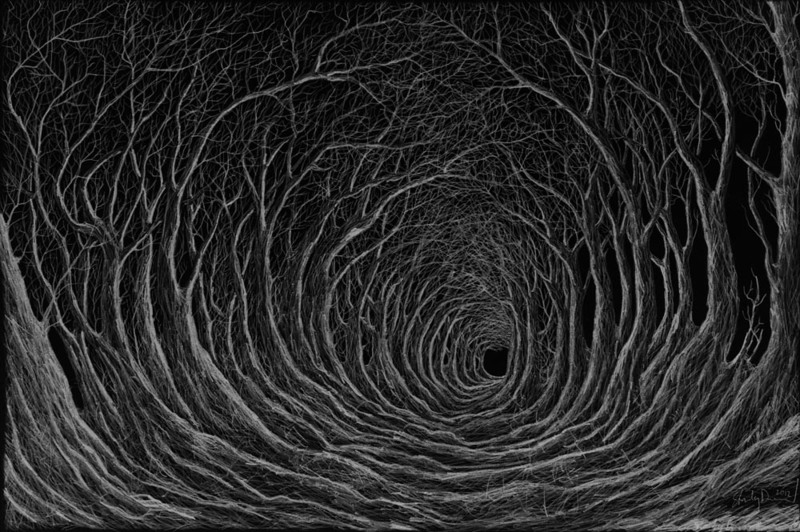 Once into this Holloway, it became even clearer that it did not want me to escape. 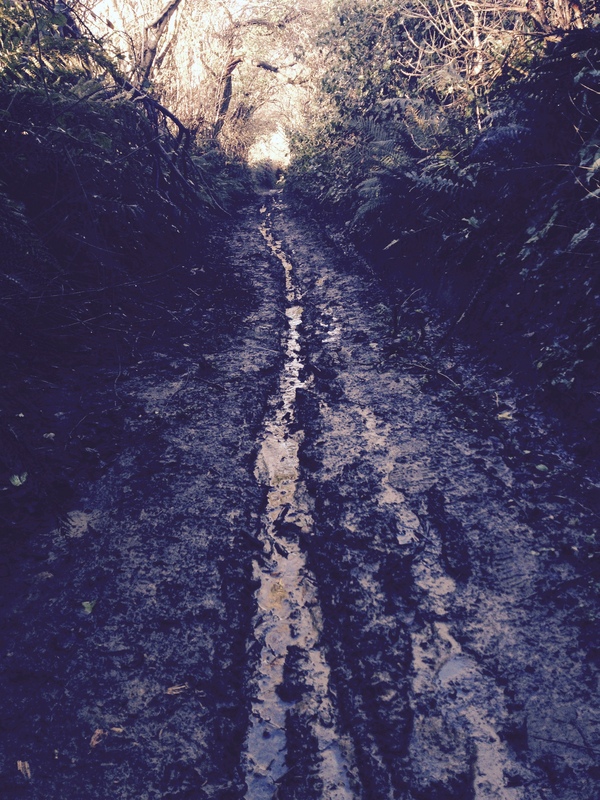 There was no direct route out of it, the pathway ahead was blocked by even thicker bramble and thicket, and the sides of its walls were steep and muddy. Upon finding a tiny hole at the top of this wall, I scrambled up the side and burrowed out into the adjacent field, or as it seemed now, an escape back to the outer world from some Alice-like underworld. I followed the shape of this Holloway along these muddy, adjacent fields but failed to find another way into its tributary. Whilst frustrating from a filming perspective, it also felt enjoyably poignant; of course the Holloway should resist my purpose. 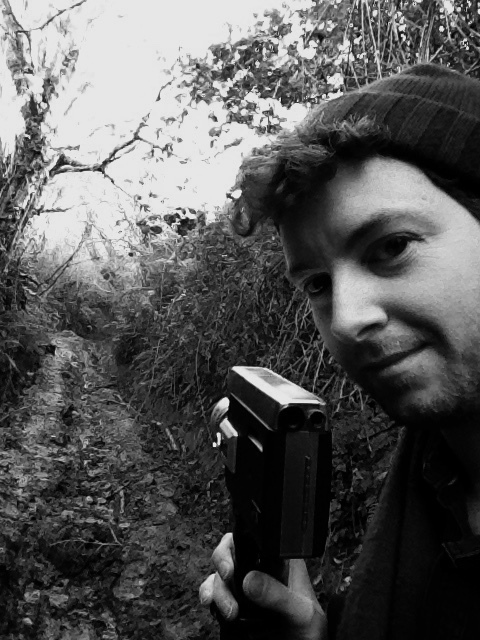 After the Holloways were filmed, some time was spent filming and exploring the local area of Chideock which produced some extremely interesting surprises. The local Catholic church, dating back to the days of Thomas More (whose face adorns its walls as having played some part in its construction), was a treat, especially with its 20p slot to switch the lights on. 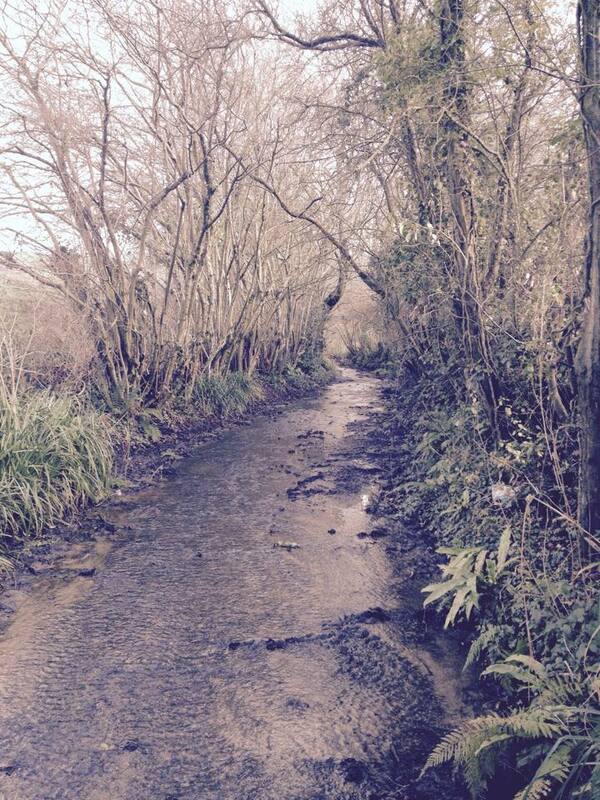 It was empty, just like the Holloways and felt just as safe a haven as the isolated paths down the road. The area was also abounded by wonderful old signs, my favourite of which was an old, wooden direction to North Chideock which simply read “North Chideock Only”. It suggested much, from menace to the nature of the place itself; the whole area is, in its own way, a sociological Holloway, sowed through with older footfall. As it’s currently the longest film I’ve made so far and is also involved with the highest profile collaborators as well, Holloway won’t be ready to be screened until at least April, if not later. Yet, this in itself seems like an enjoyable time-frame as I will no doubt enjoy looking back upon the cold, muddy paths of winter time, perhaps with a nostalgic glance but more so with the eye of someone deeply affected by the landscape, to the point of being easily described as haunted by its empty vistas. Lovely haunting film. I have tried several time to see the entity that you mention at 2.02, but cannot see anything. Whereabouts in the image is it? Glad you liked it Paul. The shot was moved after the edit that Robert saw it in and though it recurs a few times, the main part is now at 1:05. The Ancient And The Otherworldly In Lucifer Rising (1970) – Kenneth Anger. Quatermass II (Nigel Kneale) – Fear Of The Outsider Within The Landscape.